In the UK it’s easy to forget what summer feels like each time September rolls around and many people suffer from lack of exposure to light and sunshine, but it doesn’t have to be that way! 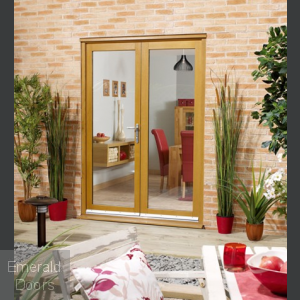 At Emerald we’ve got an impressive selection of external French doors that are ideal for letting the light into your home or place of business, so you can enjoy your outside spaces throughout the year – and not just for a couple of weeks in July if you’re lucky! At Emerald, we believe that durability is just as important as beauty, which is why all our external French doors are as strong and stable as they are aesthetically pleasing. We’ve got a wide selection of glazed and unglazed doors that are designed to sit perfectly within traditional or modern environments, so whatever your tastes or your budget, we’re positive you’ll find doors to suit in our selection. Call 0845 62 50 755 today to find out more about our exterior French doors or email [email protected] to make an enquiry. We’ve worked hard to ensure that ordering doors from Emerald is a quick, easy and stress-free process. Simply click on your choice for all the relevant information about your favourite door, then place an order using our shopping cart. At Emerald, we believe in providing an exemplary customer service, which is why we’re happy to offer free, impartial advice on the best door choices for your property.